Results will be announced on Thursday 28th February! Thank you to everyone who voted IN THE 2019 ELECTIONS! See the results here. 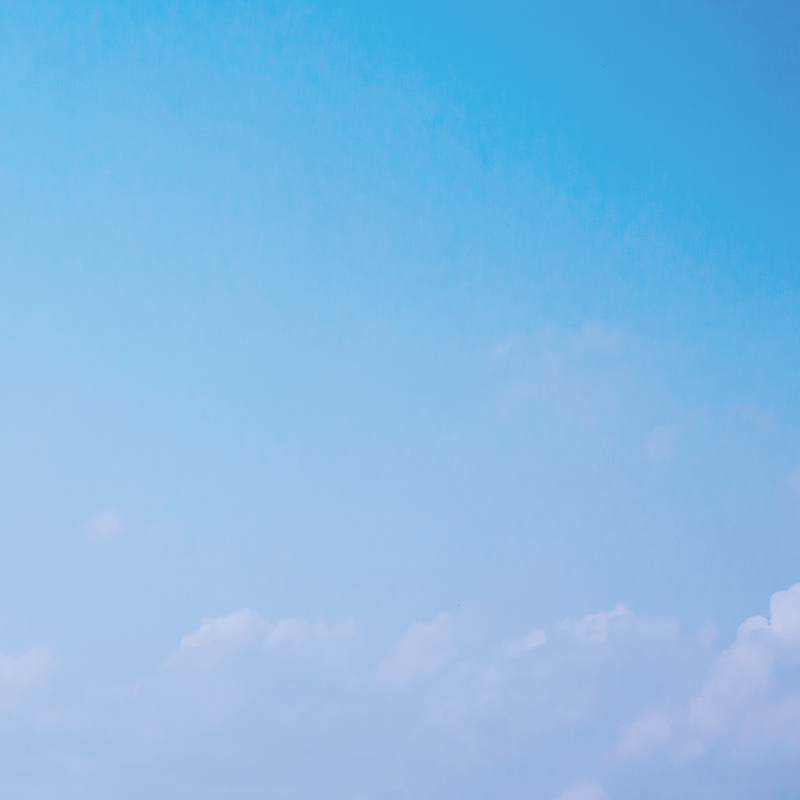 You won’t be travelling the world, but we guarantee you’ll be leading your Students’ Union and getting paid to do it! For 12 months, you’ll spend one amazing year being the director of our £2million charity, getting paid a salary of over £18,000 to do it. You can either take a year out of your studies (if you’re currently in your first or second year) or graduate and spend the year with us gaining valuable work experience, before beginning the career of your dreams. This is no ordinary job but we can promise you a truly extraordinary year; running campaigns which are vital to ensuring a great student experience for over 23,000 students at Birmingham City University. One day you could be planning a campaign to increase the number of microwaves on campuses, the next you could be lobbying transport companies in the West Midlands to offer reduced travel costs for our students. This, coupled with helping to make a number of varied day to day decisions such as staff recruitment, Freshers events, or choosing venues for our Graduation Ball, means that no two days are ever the same! The year will definitely be what you make it; you’ll get out exactly what you put in. Our core staff team are always on hand to help and support you, to ensure you lead us in the best way possible for our students. BCUSU is run by our students for our students and ultimately they will have a say in whether you spend an unforgettable year with us. You can read all of the job descriptions by clicking on the 'Roles' tab above. As this is no ordinary job, there’s no ordinary application process! Once you’ve chosen which position you want to apply for, you will need to write a manifesto. A manifesto is where you set out those changes you would like to make at Birmingham City University if you were to be elected into one of the 5 student officer positions. This may sound a little scary, but you can take a look at our Strategic Plan (which sets out our priorities right up until 2020) to give you some inspiration. It’s also worth thinking about what could improve your student experience, as this will be the same for many of your fellow students. There’s a word limit as to how much you can write in your manifesto, so it’s worth keeping it concise and to the point. Click on the Apply tab above to apply for one of our positions. Alternatively if these roles aren’t for you, but you know someone who would be perfect, you can nominate them to stand. You can also apply to become an NUS Delegate! 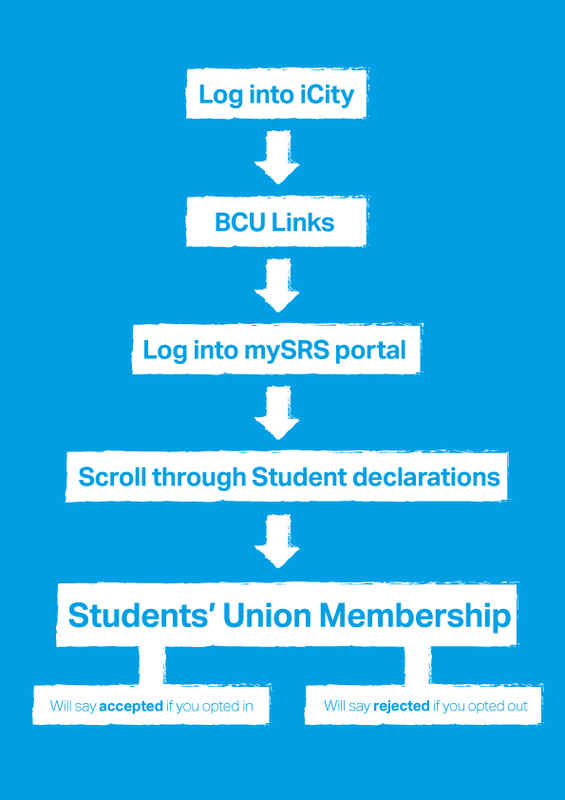 The National Union of Students represents you nationally as a student at BCU. Each year they hold a National Conference to find out from students like you, what their priorities should be for the coming year and is an opportunity to discuss current issues across the country. They also elect their national student leaders which any student can put themselves forward for. We want to make sure your opinions are heard. Which is why we have five student places available to attend this conference where you can discuss and vote on what is important to you, on behalf of the 23,000 students here at BCU. Last year, NUS National Conference voted to have a fairer representation of women at Conference, for this reason we have three reserved positions for women as part of our delegate entitlement. Thinking about whether to stand? Read our 5 reasons why you should! If you are a student of Birmingham City University and you opted in to be a member of your Students’ Union (BCUSU) when you enrolled, then you ca n vote. If you aren’t a current student or if you didn’t want to become a member of BCUSU, then you won’t be able to vote. Voting is a serious business and you need to make sure you’re voting for the candidate who will help you to have the best student experience here at BCU! Read through all of the manifestos which the candidates have written, where they pledge what they will do if they are elected. Read more about the candidates in the 'Roles' tab. Vote for all positions and click submit. You will be automatically entered into a draw to win one of 6 MacBook Air’s, so check your email as you may be the lucky winner! Click here to vote now. In our Leadership Elections, you will notice that we use something called Single Transferable Voting (STV), which is different to how you may have voted in local and general elections in this country. STV is a system of preferential voting which is designed to minimise ‘wasted’ votes and provide proportional representation. Also tasked to represent the views and needs of BCU students at all University Board of Governors and Senate meetings. Responsible for everything to do with academia and the way that you are taught during your time at university. They are the lead officer on all matters relating to your experience of learning and sit on key university committees related to your teaching experience. They work closely with BCUSU staff on policy research, with a particular focus on academic quality, as well as running education based campaigns for students across all campuses. They also represent the views and needs of our students at University Board of Governors and Senate meetings. Responsible for ensuring BCUSU is representative of all our students and that they get the support that they need. They look after our protected societies; championing their work and empowering them to achieve their aims and objectives. They are the lead officer on all areas linked to welfare and wellbeing; working closely with university teams such as Student Affairs, as well as BCUSU teams including ourthe Advice Centre. They are also responsible for areas relating to equity, diversity and inclusion and chair a committee to ensure all campuses feel represented by your Students’ Union. Responsible for our societies and sports teams, as well as developing student skills and employability. They champion all of the great things that our collection of over 100 societies, sports teams and volunteers are doing, both on campus and in the wider community. They work to make sure all campuses are engaged with the work BCUSU does, and the communities including commuter students and part time students, feel supported. They also act as the lead officer for volunteering and employability, raising awareness of activities and initiatives that could enhance your offering to employers when you graduate. Responsible for looking after the democratic structures of your Students’ Union. They aim to develop the democratic processes we operate under, based on the input of students, and adhering to your Students’ Union byelaws. They take the lead with our representation system to recruit School Reps and Student Academic leaders, to make sure your voice is heard. They also act as one of the main contacts to the University, working closely with University and BCUSU staff to try to improve and resolve student issues that are raised. Our Student Voice Manager, Robin Eves, is here to explain the new Officer Roles for the 2019 Leadership Elections. What is an Executive Officer? Your Students’ Union’s Executive Officer Team is made up of students, whatever their year of study, elected by the student body to lead BCUSU: They are the voice of our students and represent your views. The roles are full-time (you will be contracted to work 35 hours per week), for one year (you have the option to re-stand for a second year), they begin on 1st July 2019 and you will be paid a salary of £18,461 per annum, whichever role you are standing for. You can apply for these roles if you are coming to the end of your time at BCU, or by taking a year out of your studies if you are in your first or second year. PLEASE NOTE: Executive Officers may also be referred to as Exec, Executive Officers, SU Officers, Sabbatical Officers or Vice Presidents (VPs). How does the elections process work? If you are interested in standing for one of the roles, you will need to submit your application by no later than 12pm on Friday 8th February. As these aren’t ordinary jobs, there is no ordinary application process! Instead of completing a standard application form, we will ask for a few details about yourself and then ask you to write a manifesto, where you will explain what you would want to change at BCU, for the year you will represent your fellow students. As this isn’t an ordinary application process, there is no interview! Instead you will promote yourself and your manifesto to your fellow students and ask them to vote for you, when voting opens on Friday 22nd February (Thursday 21st February at small campuses). You won’t need to run a campaign on your own though, as you are allowed a campaign team; so you can get a group of your biggest fans and cheerleaders and ask them to help you let other students know about how great you’ll be in the role. There are various ways you can campaign, which will be covered in our helpful campaign training on Friday 15th February. The training will cover everything you need to know about the campaign process and we’ll arrange special sessions about social media campaigning and even a professional photoshoot so you can look your best on your campaign materials! Then, it’s just the simple matter of getting as many students as possible to vote for you between Thursday 21st and Wednesday 27th February, so that you can secure one of our amazing roles! Why should I stand for the position of Executive Officer? Every day is different; one day you could be helping a student with a problem, leading a national campaign or helping to plan our Graduation Ball. The next day you could be listening to students in a Student Group or at Student Advisory Panel, attending a high-level BCU meeting or sitting in a meeting with the Vice Chancellor. This is a fantastic opportunity to build a very impressive CV that will make you really stand out to employers. You will have real experience of making senior level decisions as well as managing budgets, events, meetings, projects, teams and your time! In one year, you will have worked with the media, interviewed staff, performed public speaking, written reports and negotiated change for your peers. You can make a positive impact on students’ lives by influencing the decision makers! There are many changes and developments at your Students' Union, the University and in the local community that have been driven through by our Executive Officer team. What are Executive Officers responsible for? Your Students’ Union is an entirely not-for-profit organisation and a registered charity, completely independent from Birmingham City University. It exists to act on your voices for better student life, by offering services which include: representation, advice, support, development, opportunities and entertainment. Executive Officers represent the concerns and views of individuals, groups or the whole student body on issues such as welfare, academic, social and financial. Executive Officers are members of the Students' Union's Board of Trustees and also have legal and financial responsibilities. The Board of Trustees is responsible for the broad direction of your Students’ Union and works with the Chief Executive, Senior Management Team and staff team, to ensure a successful long term approach to the government of BCUSU. What position should I stand for? How many roles can I stand for? You can only stand for one Executive Officer position, so choose the one you are most suited to. Full job descriptions of each role can be found in the roles section. Full-time roles are paid an annual salary of circa £18,461, plus benefits and 40 days paid holiday. A personalised BCUSU hoodie, dedicated staff support and a campaigns budget is also provided. I am an international student; can I stand for post as a SU Officer? Yes. If you are going to hold a post as an Executive Officer, you can get an extension of your Tier 4 visa without having to return home. You can get further information and advice from the Students’ Union Advice Centre or the University’s International Office. How do I write a manifesto? Think of it like a job application (answer the questions concisely, remember there is a word count for each). Point out to other students why they should vote for you and why you’re the best person for the job. Make sure that what you write is concise and relevant to the post that you’re standing for. Don’t waffle. But make sure you write more than one line. You should aim to reach the word allowance. Don’t be overly modest, you’re trying to sell yourself, but don’t over compensate either. Make sure you spell check what you’ve written. Don’t go over the recognised word count, as the words will be chopped from your manifesto when we publicise them! How will I run a successful election campaign? If you know someone who you think would be an ideal candidate for our Leadership Elections, why not tell us here! If you have any questions regarding the nomination process, please do not hesitate to contact our Student Voice department at voice@bcu.ac.uk. Think you've got what it takes to become one of our next Executive Officers? Then apply now! Nominate yourself to be one of our Executive Officers or nominate someone you think would be great for the job! The deadline for all nominations is at 12pm. Submit all of your campaign material to us for approval, and let us know who you have on your campaign team. Campaigning begins and polling stations are open at small campuses. Voting opens at all campuses. Let students hear your thoughts and opinions on topics which are relevant to them. Find out who has been elected. Read more details about this years Elections! Still require further information? Please contact the Student Voice department at your Students' Union to discuss which role would best suit you. You can e-mail them at voice@bcu.ac.uk or call them on 0121 331 7777.